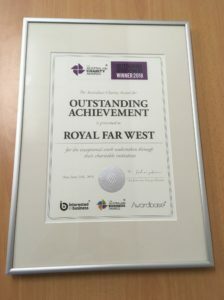 Royal Far West’s award winning Telecare for Kids program (Telecare), now Australia’s longest continually operating child and family telehealth service, was created in 2013 in response to the overwhelming need of isolated and disadvantaged rural children and young people to access services remotely. Read the full application here. After the success of the initial trials, RFW has experienced unprecedented demand for Telecare. 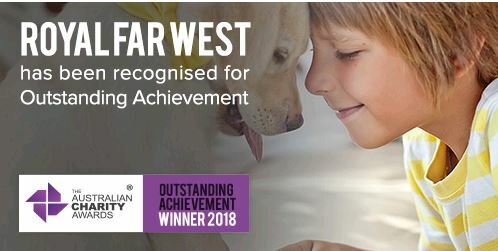 Since 2013, it has worked with 200 schools and communities in rural and remote NSW, Queensland, and Western Australia. In the 2016/17 financial year over 700 clients received nearly 10,000 occasions of service, an average 14 occasions of service per client. Telecare is a collaborative project which involves RFW expertise from our team of over 70 clinicians, as well as buy in from participating schools, Primary Health Networks, Local Health Districts, Departments of Education, Catholic Dioceses, benevolent partners, corporate partners, and other fundraising activities. The effectiveness of Telecare is demonstrated by the 85% of our clients met or exceeded therapy goals and 93% of parents would recommend the service to other parents. Telecare has been proven to be as effective as face to face intervention. All children who participate in Telecare are set Goal Attainment Scaling (GAS) goals. GAS is a method of scoring the extent to which patient’s individual goals are achieved in the course of intervention. In effect, each patient has their own outcome measure but this is scored in a standardised way as to allow statistical analysis. The consistent message is that Telecare creates tangible value for the children, educators, and parents involved. The children who receive treatment have shown speech and motor skill development gains. The educators also benefit from being involved. Evaluation interviews reveal strong professional development gains from working alongside speech and occupational therapists. Several educators have commented that this service has added important skills and strategies for working with developmentally delayed children in their classrooms. Finally, parents are empowered with directed exercises and strategies for assisting their kids at home. While parental engagement remains the largest challenge, Telecare helps bridge the divide between health practitioners, teachers, and parents. By doing so, this provides additional points of reference and access to necessary care. 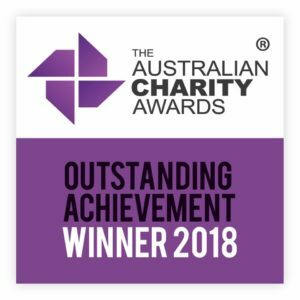 We are so proud to have out telecare program recognised, as it will help even more country kids benefit from our programs.